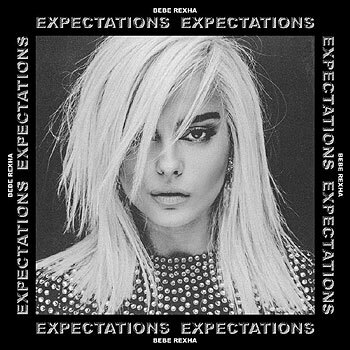 Chart topping singer/songwriter Bebe Rexha will release her highly anticipated debut album, EXPECTATIONS, on June 22nd via Warner Bros. Records. In addition to Bebe co-writing and co-producing every song on the album, EXPECTATIONS is also produced by Max Martin, Ali Payami, JUSSI, Jason Evigan, Louis Bell, The Stereotypes and Hit-Boy. It is available for pre-order HERE. Those who pre-order the album will receive two tracks, "Ferrari," as well as "2 Souls On Fire (Ft. Quavo)," instantly. Bebe's smash, "Meant To Be" featuring Florida Georgia Line, is currently ruling the charts at #1 overall on iTunes. Additionally, "Meant To Be" has taken the #1 spot on the Billboard Hot Country Chart for 18 consecutive weeks, making this the longest consecutive #1 run for a female ever on this chart. This is the second record Bebe has broken on the Hot Country Chart with this track. In December, the track debuted at #1 on the Billboard Hot Country Chart, marking Bebe as the first female in history to debut atop it. Singer/songwriter Bebe Rexha has accumulated more than 11 million overall single sales, 3.35 billion total global streams and a radio audience of more than 10 billion. Her latest single, "Meant To Be" with Florida Georgia Line, is currently topping the charts at #1 on Billboard Hot Country and has amassed over 680M global streams to date. Rexha, whom Billboard calls "one of the most daring artists of 2017," burst onto the scene in 2013 when she penned the song "Monster," which became a worldwide hit for Eminem and Rihanna, and went RIAA quadruple-Platinum stateside. Since then, Bebe co-wrote and carried the instantly recognizable hook for the double-platinum "Hey Mama," by David Guetta, Nicki Minaj and Afrojack, which has over 1 billion YouTube/VEVO views and was nominated for a Billboard Music Award for Top Dance/Electronic Song. She also hit #1 both on the Billboard Pop and Rap charts with her Platinum-selling smash single, "Me, Myself & I" with G-Eazy. Her last single, "I Got You" has more than 335 million YouTube/VEVO views, "No Broken Hearts," featuring Nicki Minaj, has more than 236 million YouTube/VEVO views; and she is featured on Martin Garrix's single, "In The Name of Love," which has amassed more than 304 million YouTube/VEVO views. Rexha released her second EP, "All Your Fault: Part 1," and the follow-up, "All Your Fault: Part 2," last year to rave reviews. In addition, she also is featured on Louis Tomlinson's track, "Back to You," off of his upcoming solo album.